I’m not one of those people who can crank out a blog post in 20 minutes. By the time I visit a place (sometimes more than once), get my thoughts in order, maybe make a fresh martini, pull it together to write things, recheck things, format things, get pictures up, and, well, you get the idea… it takes a several hours. So, when I get really busy, a post ends up on the backburner. And sometimes it stays there for so long, I feel like I can’t, in good conscience, post it up without a new visit. This was the case with Bespoke. lively area that pulls in a younger crowd later in the evening.) 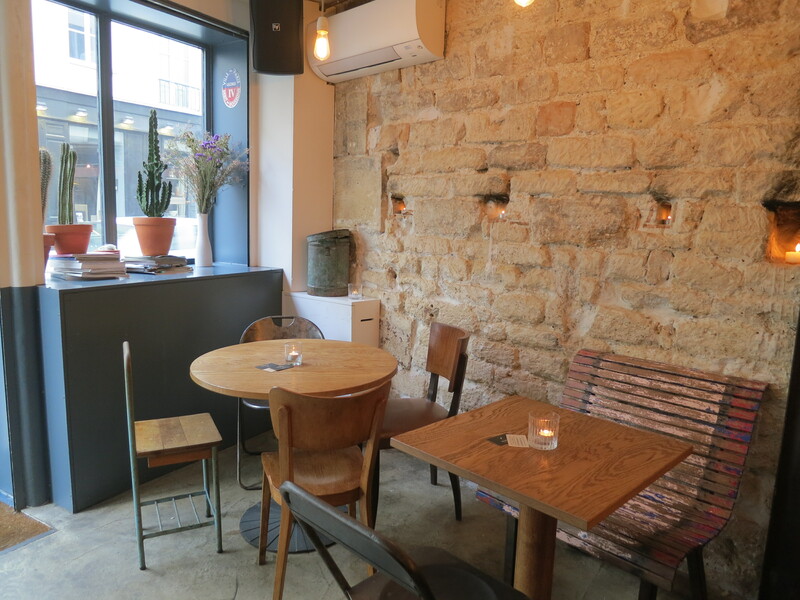 The open space with repurposed chairs, stone walls and industrial lights dangling above wooden tables give it that distressed edge favored by the kids these days. But what gives the decor a distinct pop of personality is the wall made of belts at the end of the bar. After my visit, the holiday season kicked in and by the time I got around to posting it up, I felt like I needed fresh intel. So a revisit was in order. This time, the first thing I noticed was the menu change. The current menu seems a little more maturely…fun. 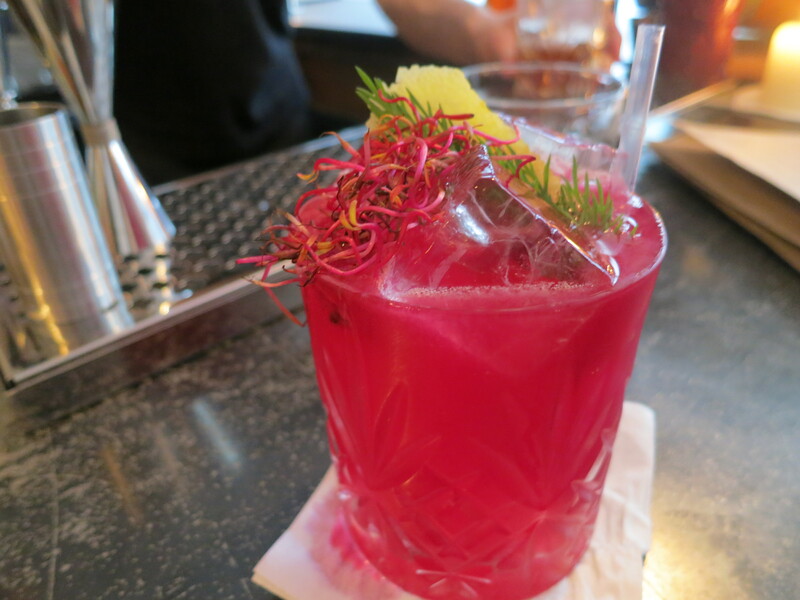 For example, the Pickled Beet brings something slightly sophisticated to your basic vodka/veggie combo with a touch of grappa and absinthe. Only three or so of the originals remain from the prior menu. Fortunately one of those includes the Batch No. 1 which is the kind of drink that better showcases talent with relatively few and simple ingredients (Buffalo Trace, Maraschino and bitters) barrel aged for six weeks. 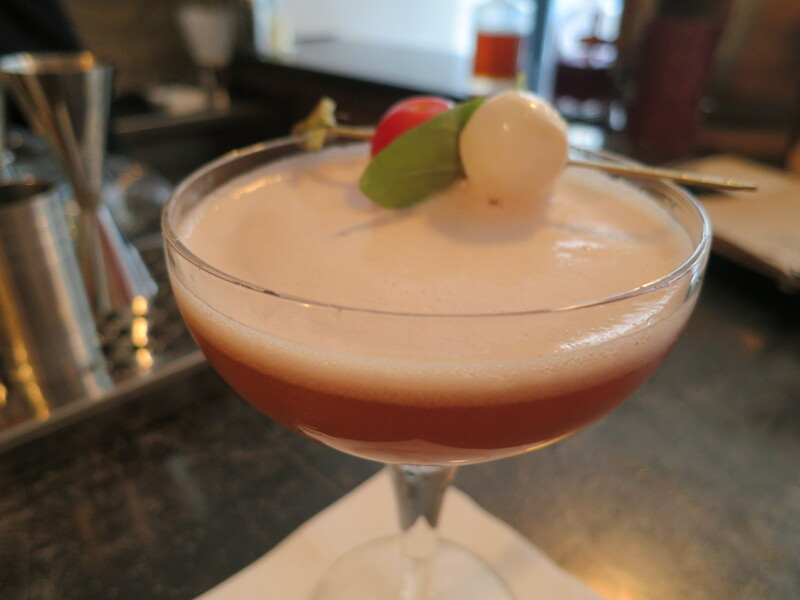 They also kept their oft-recommended Capri C’est Fini (rum, cherry tomato, basil, balsamic, simple syrup and citrus), which manages to balance the vinegar with the sweet from both the sugar and tomatoes. The menu features about a dozen cocktails at 12 to 13 Euros plus a very nice Happy Hour with 4 Euros off Monday through Friday until 8pm. In addition to the usual menu, they offer a few different brunch cocktails, which I made yet another stop in to try. The usual bloody mary works well and sits along side an easy going Lemon Shandy (nicely priced at 7 Euros) and the Faux Français, which brings something bubbly and bitter to brunch. The brunch menu itself takes a detour from the typical French formula with à la cart items sure to please Anglo palates, like fried chicken and waffles or breakfast sliders. Not overly-finessed but simply fun, filling fare. And in addition to my cocktail and food recon, I also made a third stop in during this short period for a sunny, Sunday afternoon with friends around one of the breezy front window tables. This time, we enjoyed a few bottles of rosé wine. 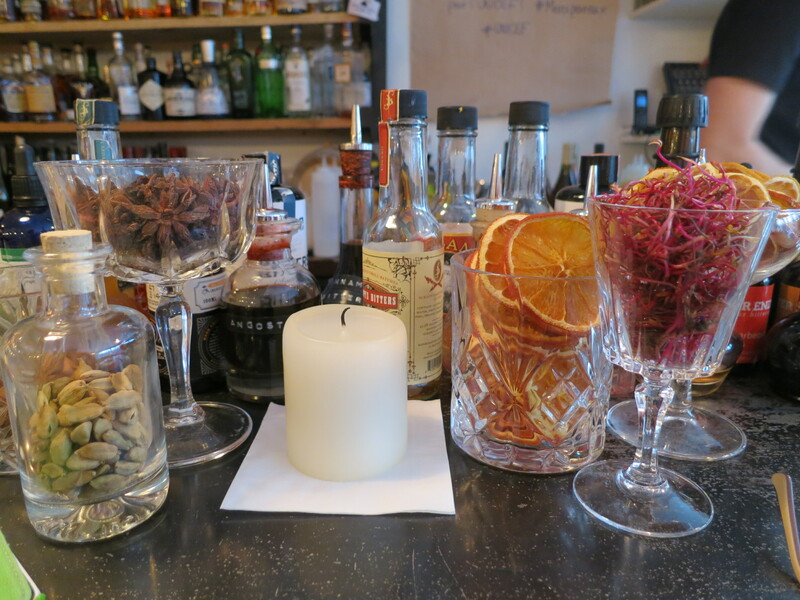 But, Bespoke has another interesting beverage on offer: the water. Customers can order carafes of still and sparkling for 1 Euros per person and all money goes to UNICEF. And that’s a nice bit of giving back – so get in there and hydrate for charity! Bespoke brings in DJ’s on the weekends, which in turn bring in a young and self-confidently hip crowd. So, if you want to enjoy it during its quieter hours, head in mid-week, early evening or reserve for brunch. Of course, I don’t always have the luxury of visiting a place four times before writing a blog post. 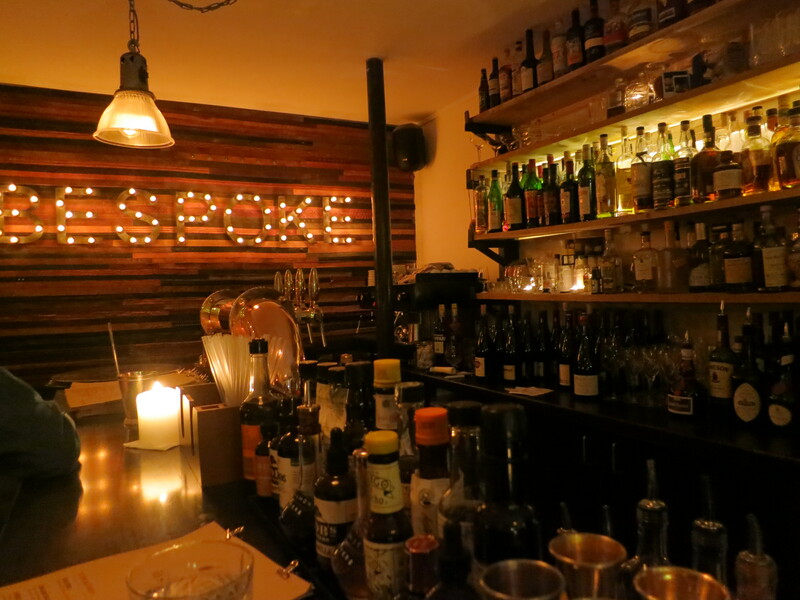 But, in this case I’m glad I had the occasion to discover the different faces of Bespoke.